The Federal Trade Commission approved the deal within a 30-day period, meaning it didn’t find the tie-up would hurt competition in the grocery market. Earlier Wednesday, Whole Foods shareholders also approved the acquisition by Amazon. Despite President Donald Trump’s repeated Twitter blasts against Amazon.com’s growing power, federal antitrust regulators Wednesday gave a green light to the e-commerce giant’s biggest acquisition ever: the $13.7 billion takeover of Whole Foods Market. It’s not a wholly unexpected outcome. Whole Foods has just a tiny percentage of America’s $750 billion grocery market, and Amazon’s presence there is even smaller. But many wary of Amazon’s expanding role in the U.S. economy, from elected officials to labor unions, had urged the Federal Trade Commission (FTC) — the agency in charge of safeguarding fair competition in U.S. markets — to take a close look. The FTC’s decision to allow the deal to move forward will give Amazon, an online retail revolutionary that’s beginning to branch into physical retail, a sizable brick-and-mortar footprint. The regulatory approval also underscores that Amazon’s rapid growth is still far from triggering serious antitrust concerns, which, under the current interpretation of U.S. law, focus on proving that acquisitions must somehow harm shoppers. “Based on our investigation we have decided not to pursue this matter further,” Bruce Hoffman, acting director of the FTC’s Bureau of Competition, said in a statement. “Of course, the FTC has the ability to investigate anticompetitive conduct should such action be warranted,” Hoffman said. The agency’s investigation, the only significant U.S. government review of the deal that observers expected, ended two months after the June announcement of the deal. Earlier Wednesday, Amazon cleared another hurdle when Whole Foods shareholders, meeting at the company’s headquarters in Austin, Texas, voted to approve the deal. 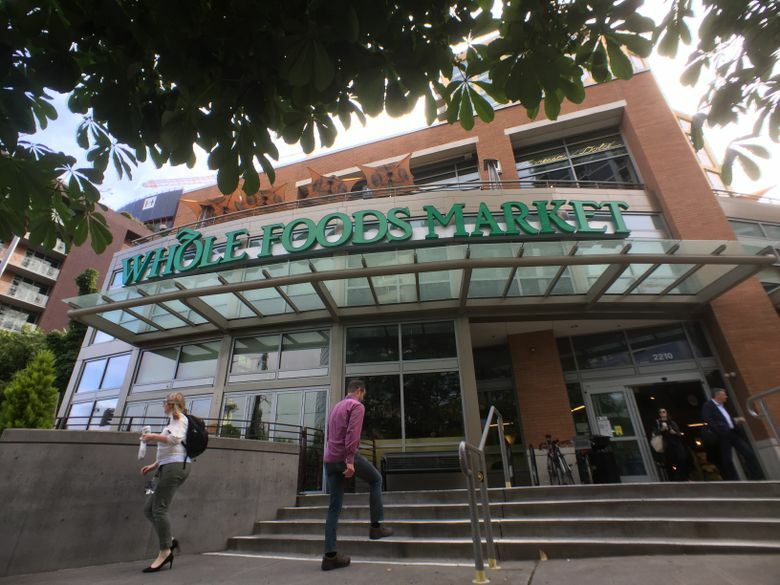 Before the vote, the United Food and Commercial Workers International Union (UFCW) had renewed its criticism of Amazon, asking the Whole Foods board to guarantee protections for employees’ jobs and salaries after the deal. The union, which represents grocery workers — though none at Whole Foods — has said that Amazon’s power over internet commerce and its penchant for automation in business processes had harmed workers. Amazon has said it expects to complete the Whole Foods acquisition before the end of the year. It’s unclear if the rapid regulatory approval changes that calculus; the company said Wednesday only that the deal remained on track. Lina Khan, an antitrust specialist with think tank New America, said the FTC’s decision “is not that surprising.” But it shows how policymakers’ current application of antitrust law is not ready to deal with the challenges posed by 21st-century tech giants, she said. “Amazon is a unique company with a unique structure and unique power,” Khan said. She added that the FTC is “extremely crippled,” as key slots at the top of the agency haven’t been filled by the Trump administration. Jeff Bezos, Amazon’s CEO, also owns The Washington Post, a newspaper that has aggressively covered Trump’s election and presidency. Amazon’s deal to buy Whole Foods surprised many, and immediately pushed down the stock price of major grocers, from Wal-Mart to Kroger and Costco Wholesale. It is by far Amazon’s largest acquisition — more than 10 times what the company spent on its second-biggest takeover, of Zappos, in 2009. Whole Foods will give Amazon, which is increasingly experimenting with brick-and-mortar retail, a big footprint of 460 stores in the U.S., Canada and in the United Kingdom. It’s also a shot in the arm for Amazon’s budding grocery business, which for a decade has struggled to gain market share. The absorption of the organic grocery chain will also balloon Amazon’s already fast-growing workforce. 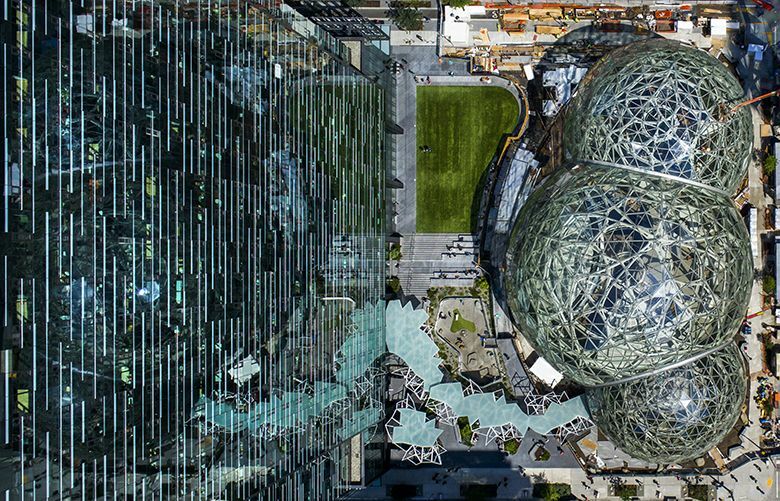 Whole Foods’ 87,000 employees combined with the Seattle giant’s 382,000 workers will give Amazon a total of 469,000. That will put it in the No. 2 spot among Fortune 500 companies by number of employees, after Wal-Mart with 2.3 million. Kroger, with 443,000 employees, currently occupies the No. 2 spot. Amazon stands at No. 12. Whole Foods shares ended regular trading Wednesday nearly flat at $41.68, slightly below Amazon’s offer of $42 a share. After the FTC statement after the market closed, shares edged up 0.7 percent to $41.96. Amazon stock closed the regular session Wednesday down nearly 1 percent at $958. It slid 0.5 percent more in after-hours trading to $953.70.